3-Piece cylindrical airlock with floating bubbler and dust cap. Perfect for primary fermentations. 3-Piece cylindrical airlock by The Vintage Shop. Includes floating bubbler and dust cap. Easy to take apart and clean. Perfect for primary fermentations where back-flush is not likely to happen. Fits into 3/8" opening, including: drilled and grommeted bucket lids, standard rubber gum stoppers and Buon Vino stoppers. 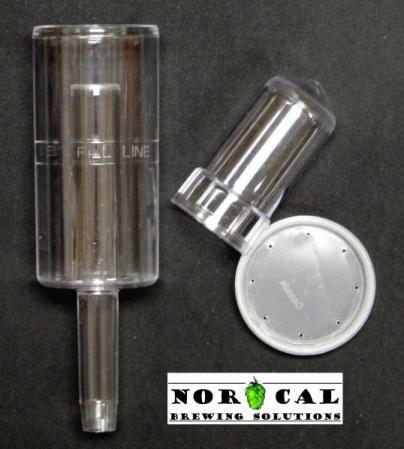 You can never have too many airlock, and at this price you might as well add a few to your order. You're already paying for shipping, why not?